Bitcoin is the simplest way to exchange money. 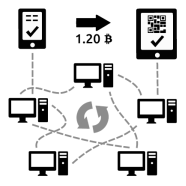 Bitcoinis a software-based online payment systemdescribed bySatoshi Nakamotoin 2008 and introduced asopen-source softwarein 2009.Payments are recorded in a publicledgerusing its ownunit of account,which is also calledbitcoin.Payments workpeer-to-peerwithout a central repository or single administrator, which has led theUS Treasuryto call bitcoin a decentralizedcurrency. Although its status as a currency is disputed, media reports often refer to bitcoin as acryptocurrencyordigital currency. Bitcoin uses peer-to-peer technology to operate with no central authority or banks; managing transactions and the issuing of bitcoins is carried out collectively by the network.Bitcoin is open-source; its design is public, nobody owns or controls Bitcoin andeveryone can take part. Through many of its unique properties, Bitcoin allows exciting uses that could not be covered by any previous payment system. A transaction isa transfer of value between Bitcoin walletsthat gets included in the block chain. Bitcoin wallets keep a secret piece of data called aprivate keyor seed, which is used to sign transactions, providing a mathematical proof that they have come from the owner of the wallet. Thesignaturealso prevents the transaction from being altered by anybody once it has been issued. All transactions are broadcast between users and usually begin to be confirmed by the network in the following 10 minutes, through a process calledmining. Mining is adistributed consensus systemthat is used toconfirmwaiting transactions by including them in the block chain. It enforces a chronological order in the block chain, protects the neutrality of the network, and allows different computers to agree on the state of the system. To be confirmed, transactions must be packed in ablockthat fits very strict cryptographic rules that will be verified by the network. These rules prevent previous blocks from being modified because doing so would invalidate all following blocks. Mining also creates the equivalent of a competitive lottery that prevents any individual from easily adding new blocks consecutively in the block chain. This way, no individuals can control what is included in the block chain or replace parts of the block chain to roll back their own spends. Bitcoin transactions are secured by military grade cryptography. Nobody can charge you money or make a payment on your behalf. So long as you take the required steps toprotect your wallet, Bitcoin can give you control over your money and a strong level of protection against many types of fraud. Just like with email, you don’t need to ask your family to use the same software or the same service providers. Just let them stick to their own favourites. No problem there; they are all compatible as they use the same open technology. Bitcoins can be transferred from Africa to Canada in 10 minutes. There is no bank to slow down the process, level outrageous fees, or freeze the transfer. You can pay your neighbours the same way as you can pay a member of your family in another country. Bitcoin allows you to send and receive payments at very low cost. Except for special cases like very small payments, there is no enforced fee. It is however recommended to pay a higher voluntary fee for faster confirmation of your transaction and to remunerate the people who operate the Bitcoin network. 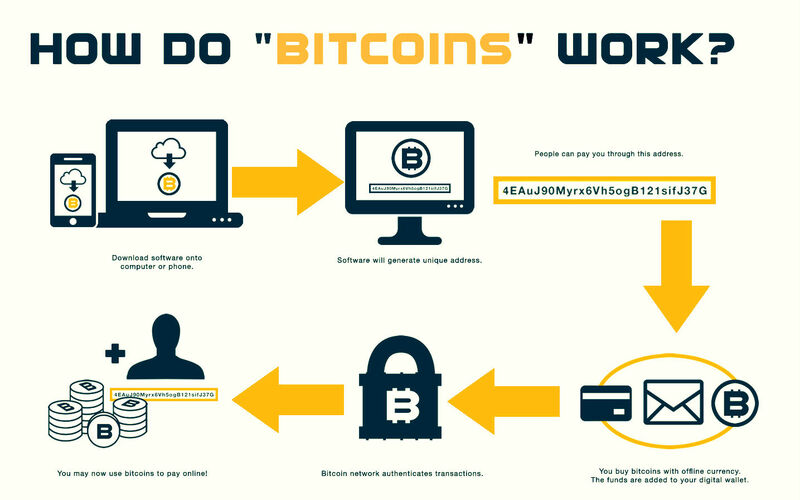 With Bitcoin, there is no credit card number that some malicious actor can collect in order to impersonate you. In fact, it is even possible to send a payment without revealing your identity, almost just like with physical money. You should however take note that some effort can be required toprotect your privacy. Bitcoin’s high cryptographic security allows it to process transactions in a very efficient and inexpensive way. You can make and receive payments using the Bitcoin network with almost no fees. In most cases, fees are not strictly required but they are recommended for faster confirmation of your transaction. Bitcoins can be transferred from Africa to Canada in 10 minutes. In fact, bitcoins never have any real physical location, so it is possible to transfer as many of them anywhere with no limits, delays, or excessive fees. There are no intermediate banks to make you wait three business days. Accepting credit cards online typically requires extensive security checks in order to comply with the PCI standard. Bitcoin still requires you tosecure your walletand your payment requests. However, you do not carry the costs and responsibilities that come with processing sensitive information from your customers like credit card numbers. We can Sendbitcoinfrom your computer, tablet, smart phone or other device, to anyone, anywhere in the world, day or night. Bitcoinis an innovative payment network and a new kind of money. Every informed person needs to know about Bitcoin because it might be one of the world’s most important developments.